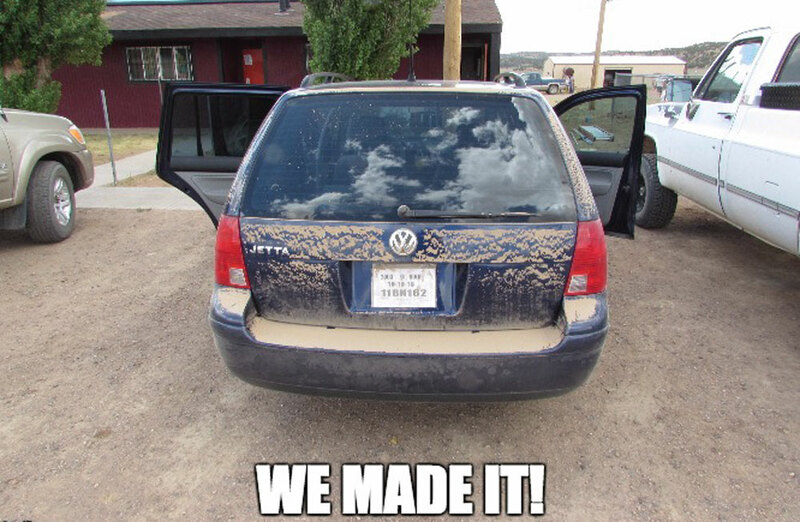 In spring 2014, I left my job in Seattle and went on a road trip to tour coal country from Appalachia to Arizona. I was searching for answers to restless questions: how, in the face of climate change, would the US transition its entrenched fossil fuel infrastructure to renewables? How could that transition re-center culture, community, and a sustainable economy? Through a 6-week volunteer stint at Black Mesa Water Coalition (BMWC), I began to see the outlines of answers in BMWC’s work to develop community-based solar. I knew I wanted to stay connected to this important work and support it however I could. Just a year later, I was back at Black Mesa Water Coalition as a student at the University of Arizona and a Climate and Society Graduate Fellow with CLIMAS (also funded by the Renewable Energy Network’s Future Energy Leaders Summer Fellowship program). This time, I was working together with the small but mighty nonprofit to write a report about challenges, opportunities, and recommendations to develop solar power on the Navajo Nation. In the midst of spring finals at the University of Arizona, I drove up to BMWC’s Flagstaff office to work out our research plan with the Executive Director, Jihan Gearon. In winter 2015-16, we had imagined an interview-based needs assessment about off-grid solar requirements on the Navajo Nation as well as an assessment of private finance models that could help meet the need. By spring the organization’s calendar had shifted and we needed to reassess the questions and outcomes that would best serve BMWC’s work. As it would happen, the timing of my Fellowship turned out to be a big transition moment for the organization. After 10 years creating political possibilities for solar transition the Navajo Nation, the Black Mesa Solar Project was gearing up to spread its wings and launch a new chapter as a partner entity, Native Renewables. 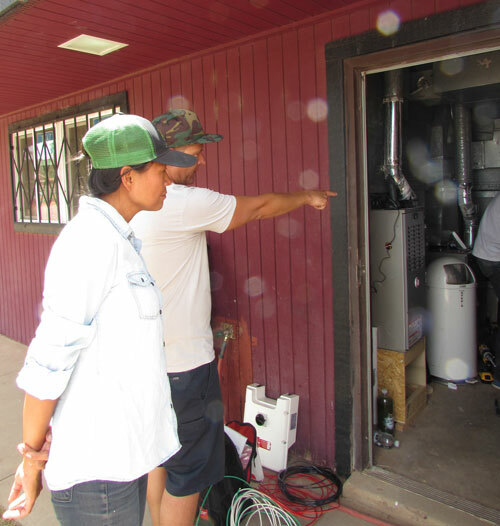 Summer 2016 would a critical time to gather together the decade of learning and analysis BMWC had acquired from its solar work, to evaluate these learnings, and to craft recommendations for the next chapter of Navajo energy transition. Gearon expressed to me that the most important contribution I could make would be to co-author a report that would articulate the history of the program and a vision for the future of solar on the Navajo Nation. Thus, our project took on a new shape, that of an internal program evaluation. This approach is aligned with the goals of the CLIMAS Fellowship in three ways: (1) it exemplifies CLIMAS’ emphasis of co-production as it positions me to work as an equal partner together with BMCW staff on the project; (2) it is truly use-inspired because the format, methodology and timeline of the project are tailored to the needs and capacity of the community partner; and (3) as a student researcher, this process has taught me flexibility and given me a chance to explore alternate methodologies. I also learned the ins and outs of the University of Arizona and Navajo Nation IRB processes as I came to find our project was exempt. In the summer, I relocated to Flagstaff and met with Gearon and Wahleah Johns, Black Mesa Solar Project Manager, to craft the precise parameters for the project and our methodology. To collect internal organizational data, I set up interviews with staff and interns and reviewed organizational archives, past reports, and news articles to reconstruct an outline of the Black Mesa Solar Project’s history and context. Working out of the BMWC offices, there was constant activity and learning as staff came and went, participated in webinars on the Clean Power Plan, and discussed options for developing BMWC’s various Green Economy programs. One of the highlights of the summer was observing the final stages of a Solar Project case study: the long-awaited installation of a solar array at the Forest Lake Chapter House. 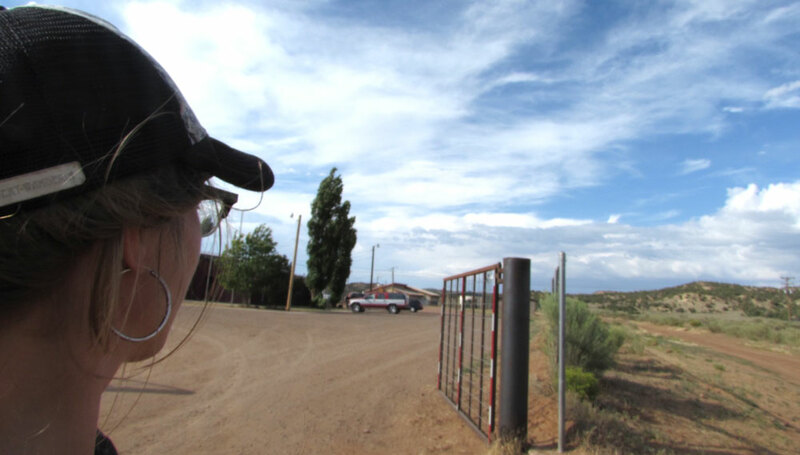 In July, I headed out to the Forest Lake Chapter House, a community building on Black Mesa, for the second-to-final phase of installation and to interview Wahleah Johns. This is where I must tell the embarrassing and harrowing tale of my trip. First, I need to preface this story by saying that I’m a child of the rural West: I grew up in an agricultural valley on the Olympic Peninsula down a dirt road three hours from a city, without cell phone reception. It’s also worth saying in my defense that there had been a mix-up and I left Flagstaff with the wrong address for the Chapter House. Nonetheless, I will admit that I fell victim to my generation’s dependency on 4G and I paid the price: for six hours, I drove down the wrong rough dirt road…which became a track…which became an impassable trail…all because Google Maps Woman was so certain I was on the fastest route and should reach my destination and she was SO BOSSY I couldn’t turn back! It was 100 degrees and I was out of water, nearly out of gas, miles from any homes, and my low-clearance station wagon as receiving a very aggressive belly massage and I was sure she would rupture a sensitive metal organ. There was no more deluding myself: there was no more road and Google Maps, I had to admit, had lied to me. I was not on the fastest route and I would not reach my destination by 1PM. I focused on the beauty of the juniper trees, the exquisite quiet of the sky, and resolved to lock my phone away and never listen to the siren song of Google Maps Woman again. I was tearful with gratitude when I made it back to a road, found reception, and called for directions. And extremely embarrassed. Incredibly, the installation was still underway and the interview was on. 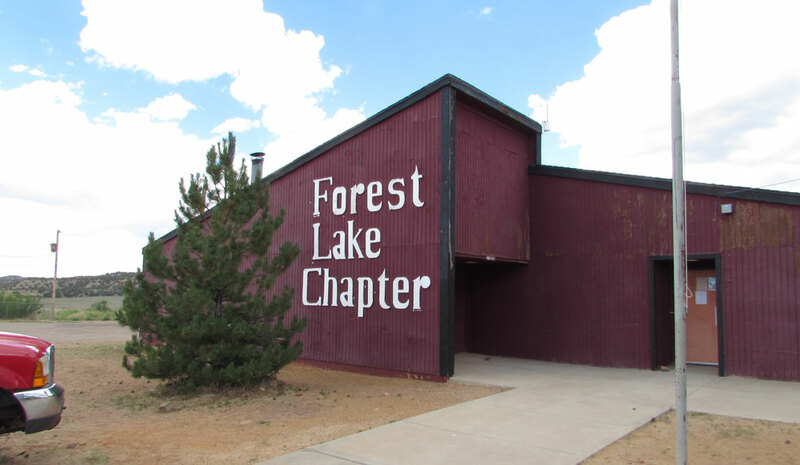 Forest Lake Chapter is located on Black Mesa about 17 miles north of Pinon, AZ. Black Mesa, so called for the land’s coal-rich dark tone, has long been a locus for energy struggle in the West. Peabody Energy began coal mining in this area at the Kayenta and Black Mesa mines in the late 1960s. As numerous Indigenous activists and historians recount, corporate coal interests continued to exert their influence on the region in the form of legal action and legislation such as the Navajo-Hopi Land Settlement Act of 1974, which has forced thousands of Navajo families and many Hopi families off this coal-rich land. A moratorium on permitting and development in this area has impoverished many of the families who have resisted relocation and fought to remain on their land. This is one of the reasons many parts of Black Mesa lack grid-connection and access to electric power. Thus, as an environmental justice organization with its origins in Black Mesa campaigns to resist resource exploitation and pollution, BMWC has prioritized Black Mesa communities as a site for renewable energy alternatives. One of the Black Mesa Solar Project’s goals was to develop a solar project to power a Black Mesa community building that could demonstrate to the local community the energy and cost savings from solar. The money saved from the solar array would be diverted to youth and community programs. Forest Lake Chapter House was found to be an ideal location for a solar installation as the building is heavily used for community events, youth programs, and other functions—and gets good solar radiation. Solar on this building would raise the visibility of solar and its benefits for a large number of Black Mesa residents. This particular installation was a gift to the community. It was paid for by several nonprofit foundations and the labor was donated by Solar City. This installation was the culmination of years of advocacy, research, education, and facilitation by Johns together with other community partners and allies. However, this project is not an example of a scalable finance model that could be grown to meet the energy needs of the 18,000 off-grid households on the Navajo Nation. Nor is it a sustainable model to fund solar systems for the many community and school buildings that would benefit from solar. Furthermore, in an ideal scenario, good living wage jobs on solar projects would go to local Navajo and Hopi workers. Despite its divergence from a broader future model, this installation is a big step for solar on the Navajo Nation and has been celebrated by the local community. This solar installation is a public demonstration of how solar works and how it can replace fossil fuel-based energy. Already, the system is making solar more visible in the community. For example, the first day of installation was also the day of an important Chapter grazing meeting and a youth program meeting. Many of the people who came to the Chapter House for these events asked questions and wondered aloud where they could get solar for their own homes. 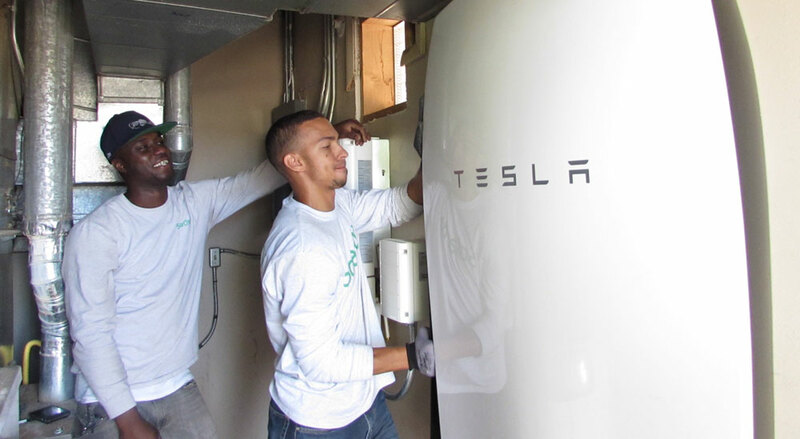 As the year goes on, the Chapter will be able to report its energy and cost savings, generating more enthusiasm for this alternative energy technology. I spoke informally with the solar installers, who were enthusiastic about installing solar on the Navajo Nation and effusive about their love for their jobs. They left the impression that solar jobs offer a great deal of satisfaction and that workers from diverse backgrounds are accessing the field. I learned that without net-metering policies, it is virtually impossible for most people to afford solar; thus, net-metering is one of the most important policy mechanisms for making solar affordable. I also learned the solar field is still a long way from gender equity: women are still few and far between in the trade. One of the exciting aspects of the Forest Chapter House installation is that it includes a Tesla Power Wall, a battery to capture the solar energy generated for use during peak hours or when solar radiation is low. This is the first Power Wall installation in the state of Arizona. The Power Wall sells for about $10,000— a price not affordable for most low-income off-grid households. The challenge of cost is a central focus of my report with BMWC. As the wind picked up and it started to rain, Johns and I retreated to her truck for our interview. Johns recounted the history of her time with the Black Mesa Solar Project and discussed the many challenges the Nation faces in making solar affordable. Johns told me about some of the challenges around finding enough finance for projects, credit barriers some low income households face when they look at an investment like solar, and the lack of awareness many funders and investors have about energy justice issues on the Navajo Nation. As we outline in our report, the Black Mesa Solar Project has explored and will continue to explore the cost challenges associated with solar affordability for Navajo Nation communities. Through our report, BMWC shares a vision for how Navajo Nation and federal policy, along with private investment, could make solar more affordable for off-grid and grid-connected Navajo communities. Our final report will be available soon. Working together with BMWC meant I had a chance to get to know the range of the group’s work. Though I participated on my own time and separate from my Fellowships, I will recount these activities as I think they illustrate what it can look like to do collaborative relationship-based work with a partner organization that works for justice on many fronts. I had the chance to build a stronger relationship with BMWC and to better understand its environmental justice work and paradigm as a volunteer at the 2016 Summer Just Transition Fellowship Training. 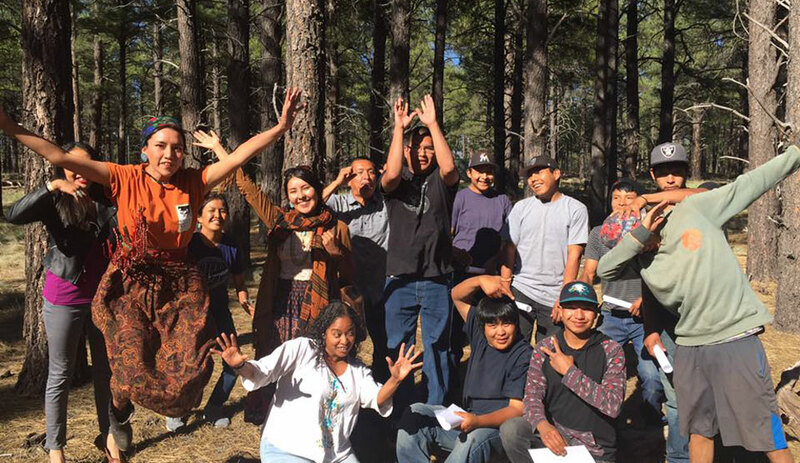 At a busy memorial day weekend training, many elders and community leaders came to speak to the young Navajo Fellows about the history of mining and coal plant pollution on Black Mesa, water extraction, climate change, indigenous agriculture, and spiritual traditions to support them through their work. As I managed logistics, picked up speakers, and cooked food, I got to know the Just Transition Fellows and heard about where they came from. With skills as artists, researchers, horse-trainers, builders, and with a deep commitment to their ancestral lands and communities, the Fellows had many talents to bring to their work. It was a joy to share an office with one of them throughout the summer and to get to know them better at the training. I was also saddened to learn more about violence experienced by Native women at the hands of law enforcement. I attended a prayerful protest and march with one of the Just Transition Summer Fellows at the end of my time with BMWC. Loreal Tsingine’s family spoke about the loss of their 27-year-old daughter and the injustice they saw in Arizona’s refusal to prosecute the police officer who had shot her on Easter Day, 2016 in the border town of Winslow, AZ. Nies, J. (2014). Unreal City: Las Vegas, Black Mesa, and the Fate of the West. Nation Books. Wilkinson, C. F. (1999). Fire on the Plateau. Island Press.